Need a van for your ever expanding company? We've got just the van, this 2017 Chevrolet Express 2500 Cargo Van is ready to be outfitted for your company. Boasting an 11 foot Cargo Area with Swing out doors, you can fit all your equipment or tools safely and securely! Under the hood this Chevy Express has a 4.8-liter V8 Engine along with a 6 speed automatic transmission, its also equipped with Tow Package! 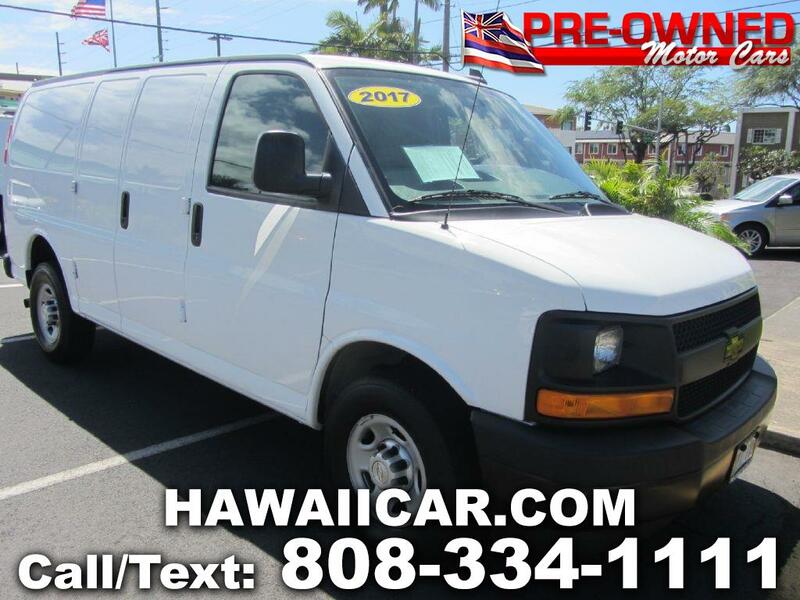 Come on down to Pre-Owned Motor Cars and explore all the possibilities for this Chevy Express to be a benefit to you business!